Here's a staggering statistic. Over 90% of the seafood consumed in the U.S. is imported from other countries. 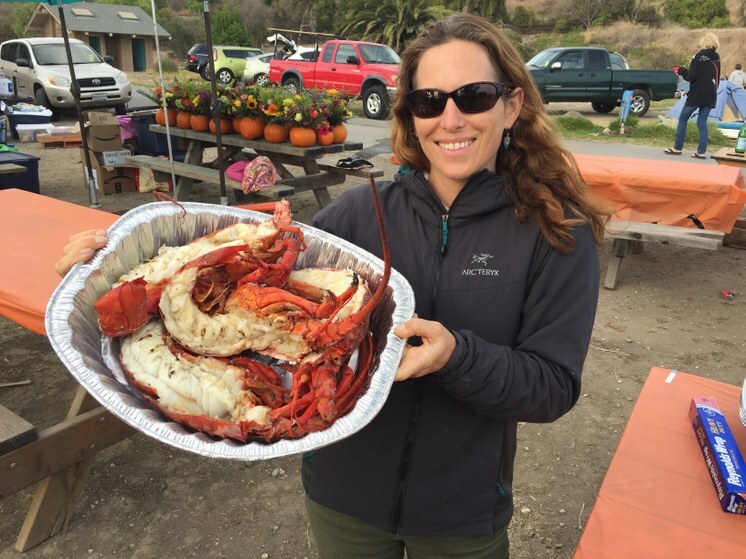 Even along the Central Coast, it can be tough to find a local catch. A new business called Get Hooked is trying to change that. Just like a community-supported agriculture (CSA) program brings you a weekly share of local, seasonal produce, this community-supported fishery (CSF) program brings you freshly caught fish and seafood. 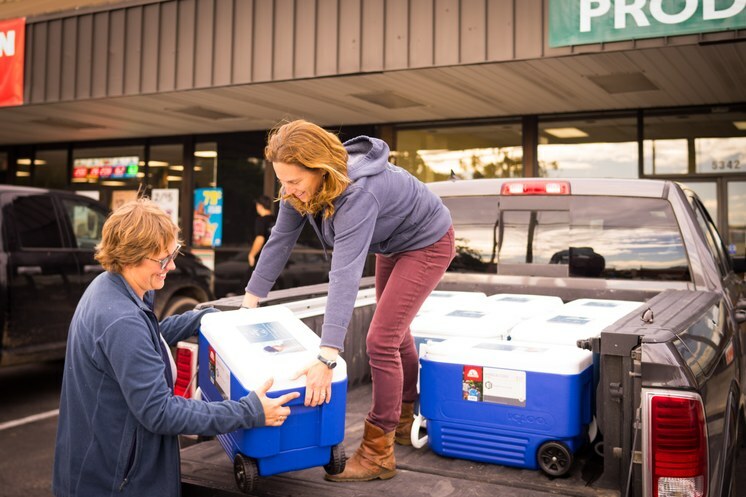 Each week, Kim Selkoe and Victoria Voss drop seafood shares off at 11 different pick-up locations between Goleta and Carpinteria. Photo courtesy of Get Hooked. Kim Selkoe holding locally caught and grilled spiny lobster. Photo courtesy of Get Hooked.